Did you know that having malaligned knees raises your risk of developing osteoarthritis in your knee? Malalignment of the knees is more frequently seen in toddlers, and fortunately, the legs will straighten out as the child grows and matures. Less commonly, knee malalignment is caused by a congenital condition like Blount's disease or the nutritional disorder Rickets (from vitamin D deficiency). In adults, knee malalignment can be caused by knee trauma, or arthritis, especially rheumatoid arthritis. If you have bow-legged knees, you have an increased risk of knee osteoarthritis. In addition, once knee osteoarthritis develops, it's more likely to progress (get worse) if you have a varus alignment. This is because a varus alignment causes the load-bearing axis of the leg to shift to the inside, causing more stress and force on the medial (inner) compartment of the knee. While you are at risk for knee osteoarthritis with a varus alignment, regardless of your weight, if you are overweight or obese, your risk is substantially higher than average. In fact, varus alignment increases the risk of knee osteoarthritis five-fold in obese patients. With that, if your doctor says you have varus alignment of the knees, there may be something you can do about it. In other words, if you are overweight or obese and lose weight, you may reduce your risk of developing knee osteoarthritis. Besides weight, another factor that increases your risk of knee osteoarthritis is the degree of your varus alignment. A higher degree (or worse malalignment) means a higher likelihood of getting osteoarthritis in your knees. Being knock-kneed is the opposite problem of being bow-legged, but it may still result in the progression or worsening of knee osteoarthritis once it starts. This is because a valgus alignment shifts the load-bearing axis to the outside, causing increased stress across the lateral (outer) compartment of the knee. All in all, valgus alignment (knock-kneed) is not considered quite as destructive as varus alignment. Still, both conditions stress the knee, especially the articular cartilage. Just to clarify, in valgus malalignment, the lateral meniscus is affected whereas, in varus malalignment, the medial meniscus is affected. You may look in the mirror and decide you have bowlegs or knock-knees. Remember though, a doctor can make a more objective measurement compared to what is normal. He can also order x-rays of your knees and potentially an MRI to determine the degree of deformity (if present) and whether or not there is joint space narrowing, a sign of osteoarthritis. With that, be sure to talk to your primary care doctor at your next checkup. Also, do not be surprised if your primary care doctor refers you to a bone specialist called an orthopedic surgeon if he or she suspects malalignment. Weight loss may very well be an option to protect your joints, but in some cases, joint replacement surgery can correct valgus or varus deformities. In summary, you are more likely to develop knee osteoarthritis or have further progression of knee osteoarthritis if you have an increasing degree of varus or valgus alignment, especially if you are overweight or obese. While you can't do anything about how maligned your knees are, you can be proactive about losing weight if you are overweight or obese. Of course, it's also important to note that besides weight and knee malalignment, there are other factors that increase your risk of developing knee osteoarthritis like your DNA (look at your family history), increasing age, history of knee joint injury and overuse, and certain health conditions like iron overload (called hemochromatosis). 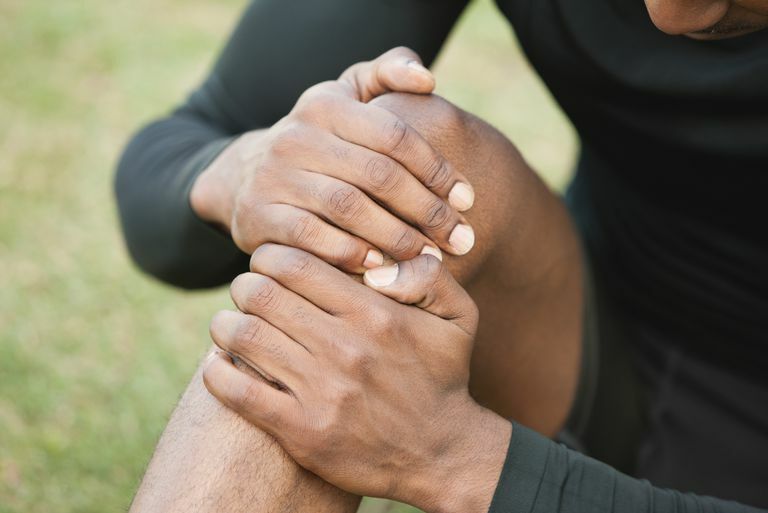 If you are diagnosed with knee osteoarthritis, treatment may include medication, regular exercise, physical therapy, heat and cold therapies, and weight management. For a severely damaged knee joint, an orthopedic surgeon may perform joint replacement surgery. Felson DT et al. Valgus malalignment is a risk factor for lateral knee osteoarthritis incidence and progression: findings from the Multicenter Osteoarthritis Study and the Osteoarthritis Initiative. Arthritis Rheum. 2013 Feb;65(2):355-62. Flouzat-Lachaniette CH1. At-risk situations for knee osteoarthritis. Rev Prat. 2012 May;62(5):630-4. Sharma L et al. Varus and valgus alignment and incident and progressive knee osteoarthritis. Ann Rheum Dis. 2010 Nov;69(11):1940-5.